Traveling // How to Wear My Hair for South Africa!! I'm headed to South Africa in two weeks! It's so surreal that the trip is almost here and I'm getting more and more excited with each day that passes. Aside from packing (which I haven't started yet! Yikes. ), the next question I still haven't answered is what to do with my hair. Traveling internationally always inspires me to choose a hairstyle that I won't have to fuss with or do everyday. I want to spend as much of my time as possible experiencing the trip, not styling my hair. I try pack as light as possible because you never know how much shopping you are going to do and you want room for your newly acquired treasures without incurring any additional costs on the way back. That means keeping my toiletries, hair supplies and styling tools at a minimum. I will be between Johannesburg and Cape Town for 10 days and am contemplating three different and low cost hairstyles that I wouldn't really need to fuss with my hair much nor bring any hair supplies with me outside of a hair tie and head scarf for bed. Below are the three I'm choosing from. 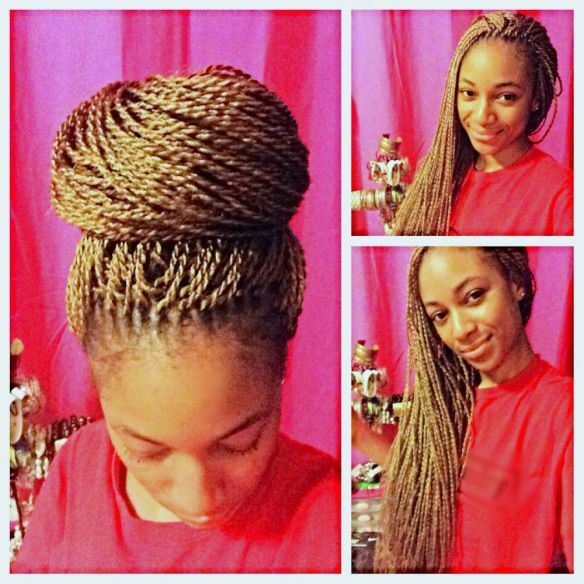 Loose Twists: This style never fails me and doesn't take long to install (like 2.5 hours). A set of loose twists lasts me up to 3 weeks and since my hair is pretty long now, I can pull them into a ponytail and create other hairstyles with them. 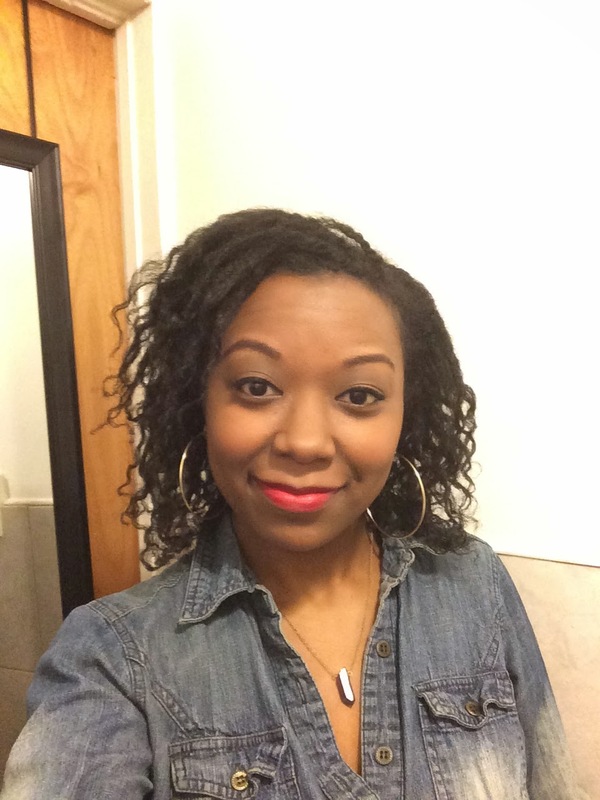 Crochet Braids or Crochet Senegalese Twists: If you read this blog long enough, you know how much I love wearing crochet braids. They are much kinder to us fine hair ladies' hair and hairlines since the weight of individual braids or twists with extensions aren't tugging at our scalp and strands. I've never done crochet Senegalese twists before. That may be something different and fun to try. Either type of crochet style would give my hair a good rest because all my hair would be cornrowed up and wouldn't have to be touched or manipulated. 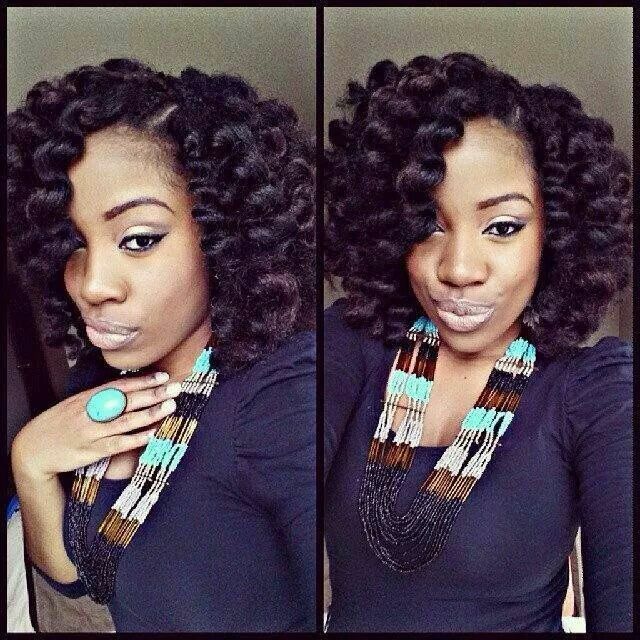 Crochet Braids with loose Marley Hair. 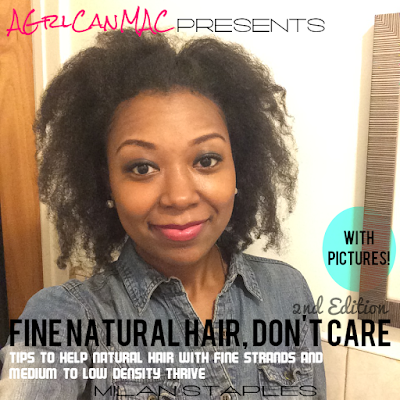 Hair is rolled onto perm rods and dipped in hot water for this pretty look. 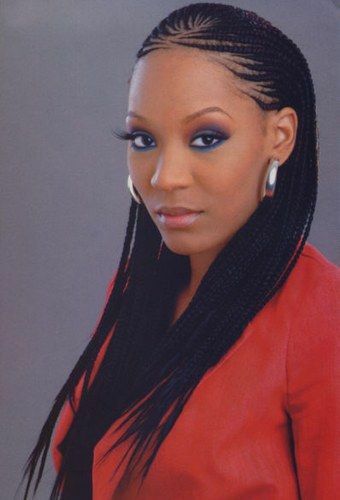 Long Cornrows with Extensions: This style is simple and super regal. All I would need is a sleep scarf for bed each night to keep the front smoothed down and frizz free. I may need a small bottle of jojoba oil to prevent the parts from drying out and flaking. It will be winter in South Africa so the air will be much cooler than up here. Crazy right? Loose twists would be the most cost effective because I wouldn't need to pay anyone to do it for me; I can install them myself. The Senegalese twists would be the next cheapest because I'd need to find a shop or friend to cornrow my hair for me and then I'd have to purchase hair and install it myself. I'd buy 4-5 packs of Kanekelon hair at $5 a pack. And last would be the long cornrows with extensions which I'm thinking wouldn't cost me more than $40 plus the cost of hair? I know this doesn't sound like a lot of money to spend on a hairstle but outside of preparations for this trip, I have other expenses for this month so I'm trying to keep it cute without spending unnecessarily if I don't have to. Just want to maximize this hear money. What hairstyle would you choose? Which style do you think I should choose? Time is of the essence, I've got to make a decision and get it done by next weekend! Man, it came fast. 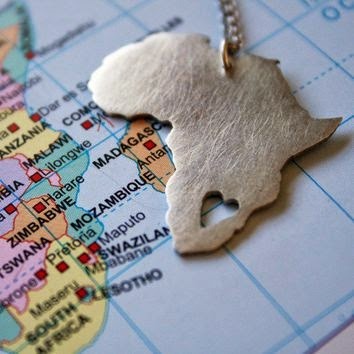 I'm so excited to touch the ground in Africa! This has been a dream of mine since I was very little. Dreams really do come true people! Share your feedback on what I should do with this hair!!! I really like the 3rd style, then the 1st. All of them are cure styles! My favorite is the Senegalese crotchety, and the Marley hair because you can basically get up and go. I'm in South Korea now and was supposed to have gotten braids before I left, but now I am stuck with the fro thanks to a flat before I left. I would go with loose twists because of the flexibility and cost. Knowing my budget I wouldn't want to spend money on my hair that I could spend in Africa.